Get ready to pony up at least $900 or $1000 USD for the latest Surface portables. Both the Surface Laptop 2 and Surface Pro 6 are launching in four different colors with many of them being exclusive to higher-end configurations. 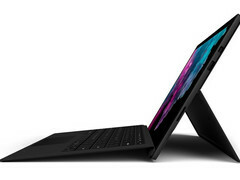 Unfortunately, the Surface Pro Type Cover must still be purchased separately at $130 USD a piece. As promised, Microsoft is now taking orders online for both of its latest Surface products just two weeks after the initial reveal earlier this month. The Surface Pro 6 and Surface Laptop 2 start at $900 and $1000 USD, respectively, and are immediately available for shipping in the United States. Users who may want the cheapest configuration of either system will be forced into the Platinum color only as Microsoft appears to be locking out the other colors for pricier configurations. For example, the Platinum color Surface Laptop 2 is only $1000 USD while the Burgundy option starts at $1300 USD. Perhaps not coincidentally, the Platinum color is notorious for collecting unsightly grime and grease over time when compared to other darker color options. The most notable change from the previous 5th generation of Surface devices is the CPU upgrade from dual-core to quad-core Kaby Lake-R for significantly faster processor performance. Microsoft has also upped the baseline RAM from 4 GB to 8 GB, but Thunderbolt 3 and USB-C remain absent. The closest competitor to the Surface Pro 6 is set to launch before the end of this month.